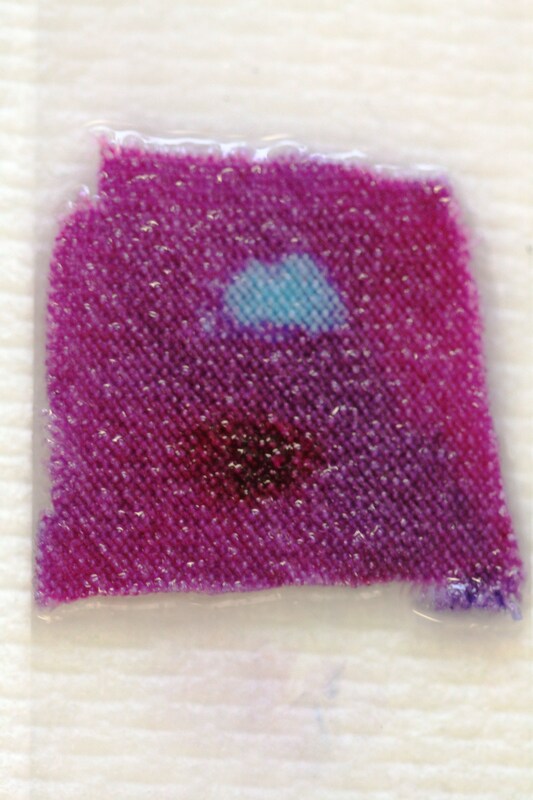 Application of the primary dye and Mycobacterium (the light spot) revealed by their “resist” action. The dark spot is a non-mycobacterial species which takes up the dye. Mycobacteria are an important group of bacteria which includes pathogens known to cause serious diseases in humans, including tuberculosis (Mycobacterium tuberculosis) and leprosy (Mycobacterium leprae). All members of this group have an unusual, waxy coating which makes them impervious to traditional staining techniques. Moreover, this characteristic cell wall, which is thick, hydrophobic, and also waxy in nature, gives this group of bacteria many characteristics that resist medical treatment. It confers upon these bacteria increased resistance to chemical damage and dehydration, resistance hydrophobic antibiotics, and all the bacteria to grow readily inside macrophages, effectively hiding them from the host’s immune system. The biosynthetic pathways of this important cell layer offer potential targets for new drugs for tuberculosis and leprosy. I’ve developed a staining process for textiles that beautifully reflects the important role of the waxy layer in Mycobacterium resistance and pathogenicity. 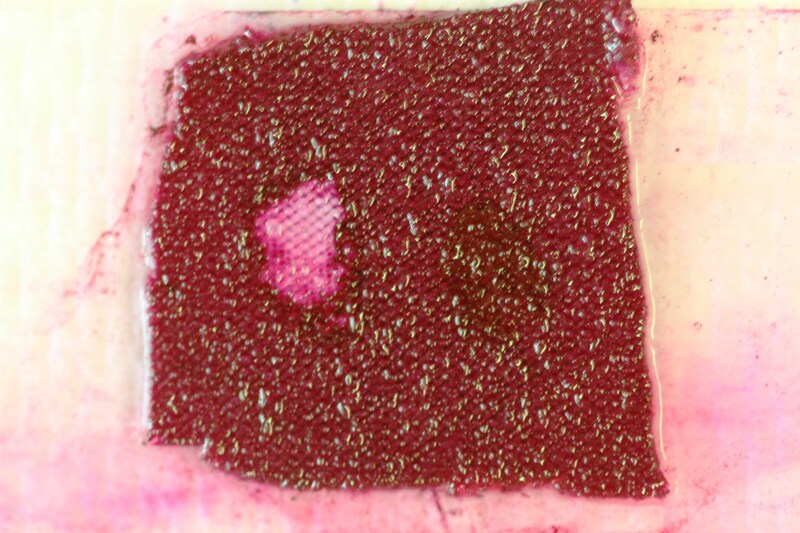 When members of this bacterium are inoculated onto fabrics and grown, the waxy layer acts as a resist, much like wax would in a traditional Batik for example, preventing access to the dye and thereby revealing the presence of the mycobacteria.